For many people long summer evenings, fine weather and sport fishing for mackerel the perfect combination. In addition to some exciting fishing, mackerel is a great fish for food and also a great bait to use for cod fishing. Sport fishing for mackerel is as you may know time limited. First and foremost this is a summer activity and in my local areas mackerel can normally be found from April and throughout October. Normally the best sport fishing will take place during the summer months and in September. Notice that these periods can vary depending on where you are located and it is the water temperature that mainly determines where you will find mackerel. My local area where these examples are taken from is along the South-west coast of Norway, close to the North Sea. Mackerel is a rather small fish and normally a 2 pounds fish will be great catch. Despite a rather modest size, this is a sport fishing that gives a really exciting experience, provided you use the right equipment. This is because mackerel is exceptionally strong for its size and this is probably why this is such a popular leisure activity. Using the correct fishing equipment means, in this context to use light equipment. In order to experience the strength of the mackerel a small spin fishing rod is a good choice. Often you will be able to use equipment that you have required for other types of sport fishing from shore. For example you could use equipment in the same size as when sport fishing for trout, or slightly larger. 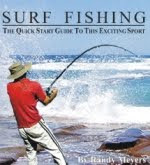 Large beach casting rods or heavy deep sea rods will take the joy out of sport fishing for mackerel. If you try this sport fishing from a boat, a rod intended for trout will, however probably be too fragile. This because you often will catch other species during mackerel fishing and coalfish, cod and others puts other demands on the equipment. A rod intended for salmon fishing could therefore be the perfect choice. The challenge of fishing for mackerel is normally finding the fish and especially in the early season it can be hard to locate. Trolling will then be a good method, but it can also be effective to let the boat drift freely with the tide and/or the wind. Remember to fish at all depths, since mackerel can be found at almost any depth. It can for example be found just a few meters below the surface, even at deep waters. When you are looking for mackerel in the early season, areas facing the open sea will be normally provide the best opportunities for success. When you have located mackerel, you will often find that it is quite easy to catch. In fact mackerel will normally bite on most lures. This means that you can use lures, spoons, jigs and others that you already have in your tackle box. Although mackerel normally is easy to catch, you may experience that it want bite at all. It can be frustrating to see the fish close to the surface and still not get it to bite. Normally a little patience is then all it takes, as it will start biting as soon as it moves a few meters towards the bottom. This is when fishing from boat. When you try this sport fishing from shore, large shoals close to the surface could mean some fantastic catches. Mainly, I think this is all you need to know about sport fishing for mackerel. Because of its willingness to bite on almost anything, there is no need for a lot of tips on this topic. Try sport fishing from shore or from boat and you will most likely succeed in catching this impressing fish. Remember that mackerel can be found at most depths and that light equipment is recommended for the best possible experience.